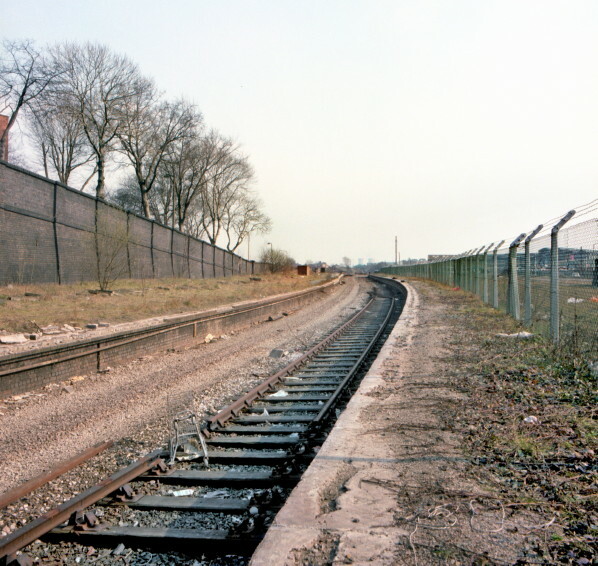 Looking in the Birmingham direction on 22 May 1983 following closure of the line on the 7th. Both platforms are still intact although the sandstone edging stones have all been removed. 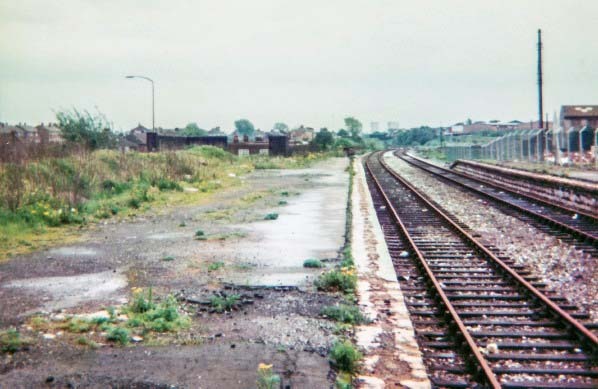 Looking towards Wolverhampton in the winter of 1984, the goods shed is long gone along with all the fixtures of the station. Services would resume before the century was out. 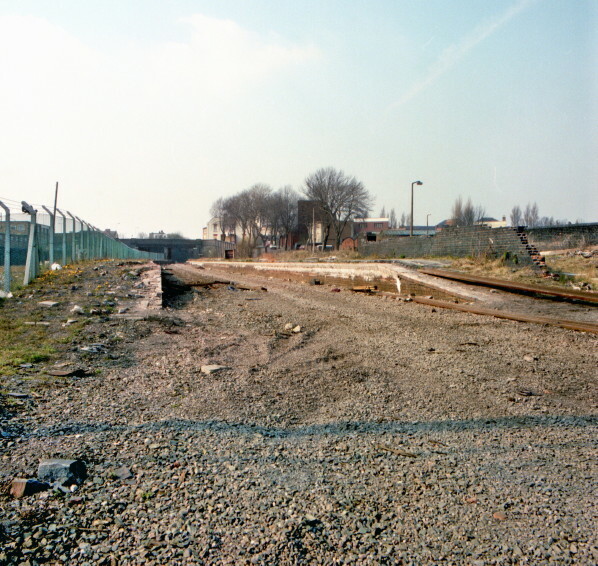 A short section of track remained running through the station in the winter of 1984 although it looks in the process of being removed. 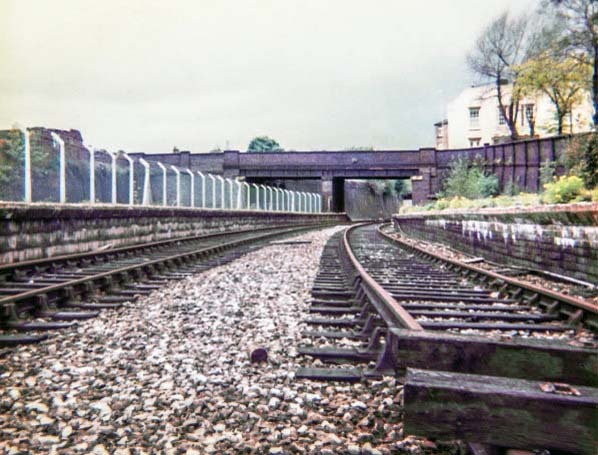 By June 1991 the track, seen in the previous photo, had been removed and the easily accessible remains were in a dilapidated state. 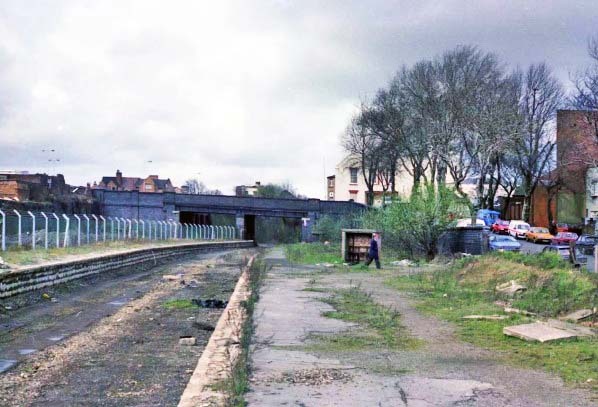 Construction of the new Black Country route, towards the end of the decade would transform this view. 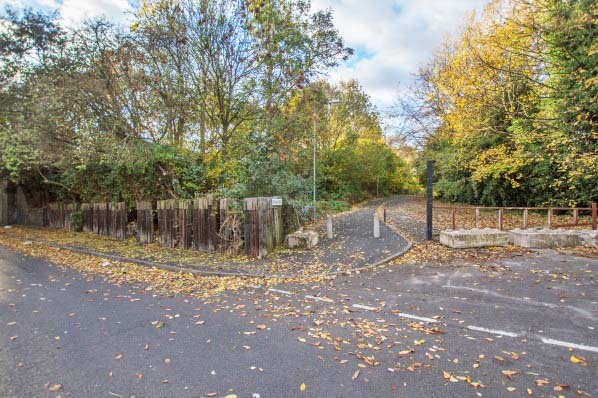 The view from Brook Street up Railway Drive on 5 November 2016 the sleeper fencing and the name being the only reminders of a main line railway passing nearby.